This baby critter was checking out the yard with his three siblings who escaped under the fence into the neighbor’s yard. Armadillos are very strange looking animals. There always seems to be a family around the garden. They are usually out at night, but these juveniles are doing things their way, as many youngsters do. 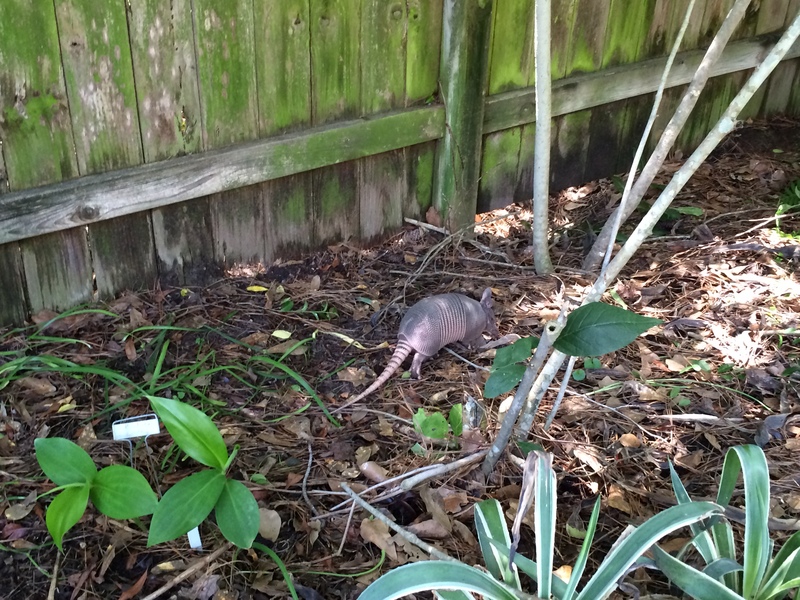 Armadillos plow through the grass and beds looking for grubs and other crawly creatures to eat. Not a friend of most gardeners. This diminutive guy finally revealed himself. Over the last little while, I caught flashes of something jumping quickly out of sight, but was never able to identify it. 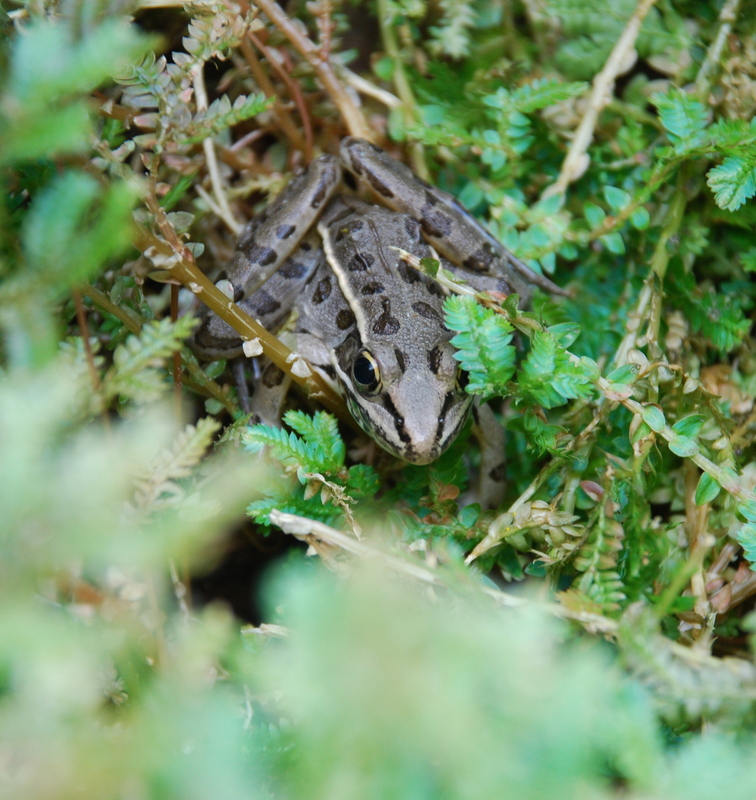 A couple of years ago one of these frogs was hanging out in flower pots. It was assumed he was lost as there aren’t any ponds or water features here. Apparently, they are just happy with sprinkler water. I haven’t been able to find much information about these frogs, but I believe they are called Needle Nosed Frogs. Another mystery has been solved when this rather unattractive critter revealed itself. Click on the photo to really get a good look. Lately, an animal larger than the regular lizards has been darting around the front yard, diving into leaves and out of sight. For some reason it finally decided to pose for a photo. Maybe it thought I really could not see it. 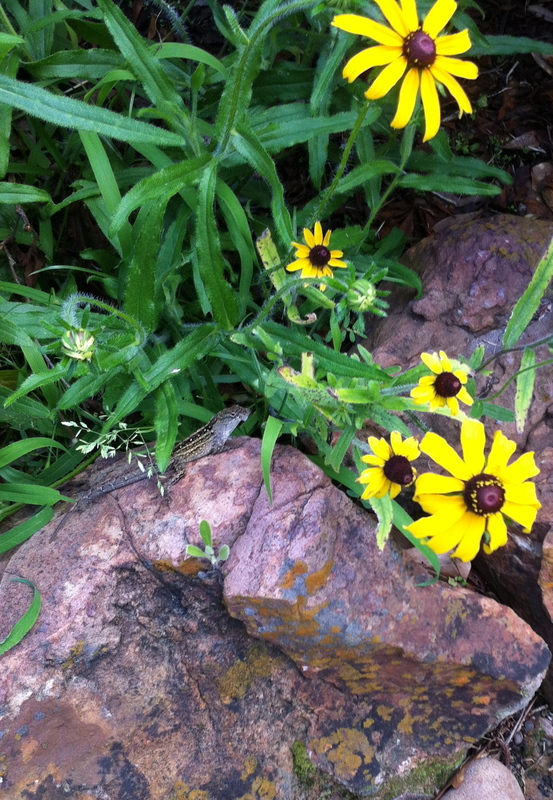 As far as I can tell, this is a Texas Spiny Lizard. This gal has been hanging out around the patio for years (or her ancestors). 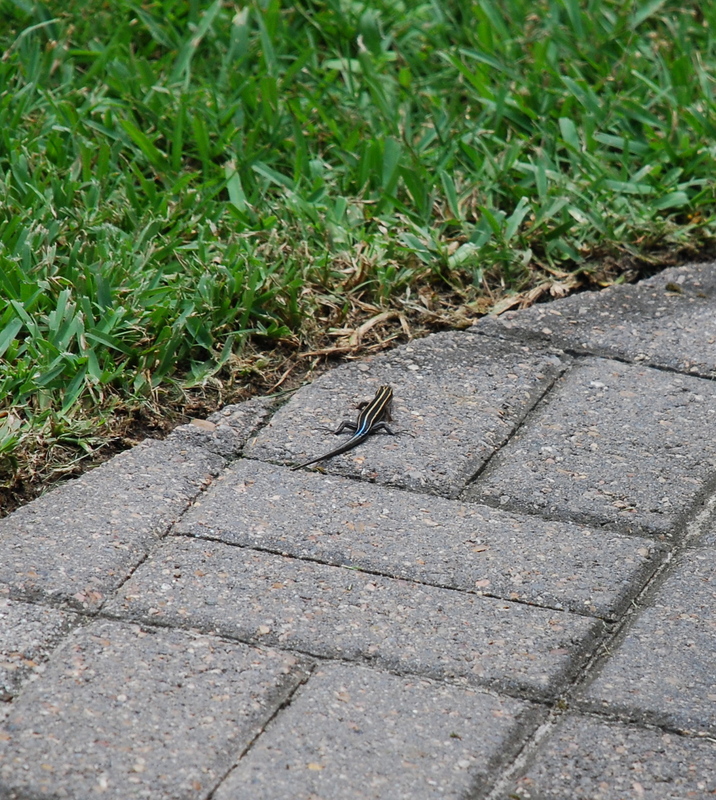 She is a Five Lined Skink and the blue tail indicates it is a female. 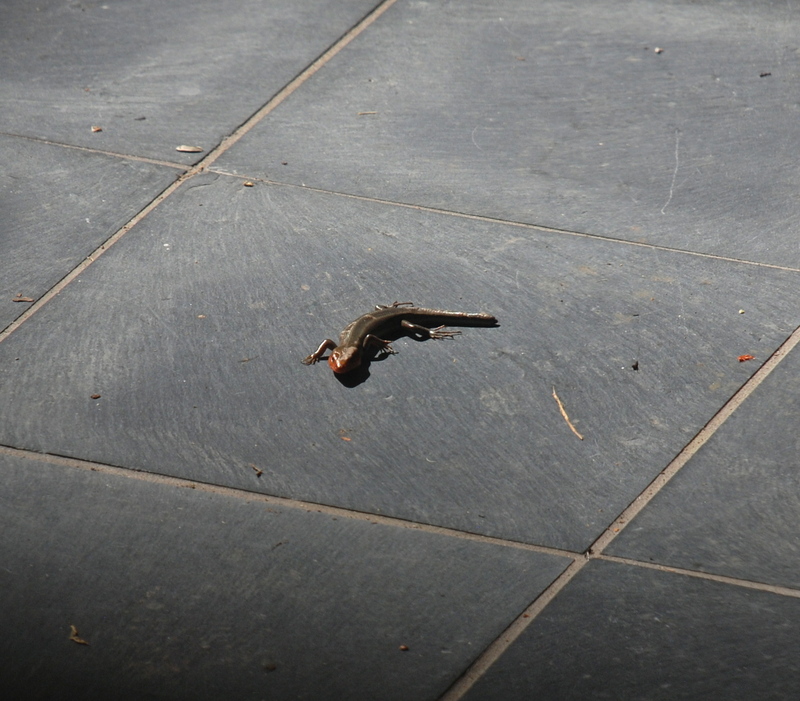 These critters are all over the garden and slither in a snake-like fashion. I have been trying to photograph them for years and this is the best so far. The male has an orange jaw during mating season. As the Skinks age, their stripes fade. This guy looks like he has had some combat experience as his tail is missing. Does that make him more attractive to the female? Earlier in the day they were sunbathing together on the porch. Skinks in love!